So far, investors are constantly attracted by the gold was excellent returns, he has to shine. Gold analysts are saying that Gold may touch levels of 25,000. In terms of returns on most commodity-round pressure is unreliable. There are many reasons which are impact to gold, but basic reason is given below. 1)~ U.S. stimulus package to reduce market is heating up again in the discussion. 2)~ The world's largest gold fund offloading of large investors holding Speedier Gold is at 3-year lows. 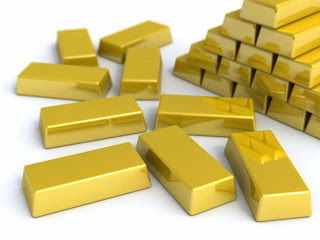 3)~ Goldman Sachs reports third of the decline in gold because the gold price this year will drop by 10 per cent. Besides raising funds for Cyprus now sell gold reserves of 10 tons. According to Macquarie- investors trapped in fear that the crisis of the Euro zone countries can come to this route. Analysts believe that if this happens, then gold sharp fall. It has become a constant pressure on gold. Goldman Sachs and the second time in two months have reduced the estimate to sleep. According to Goldman Sachs- Ending of the year Gold may slip 14,00 dollar, while next it will be come down 13,00 dollar. Our View- In the fact of all MCX Gold must be slip to down and it may touch levels of 25,000 levels end of the year.